The home standby generators are permanently installed outside of your home and it has the appearance of central air conditioning equipment. 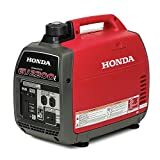 It is connected to your natural gas line or liquid propane tank and will generate electricity as long as fuel is supplied. These house generators use an automatic transfer switch to monitor your utility power feed. When your power goes out, the automatic transfer switch turns on the emergency generator and automatically shuts it off when power is restored. 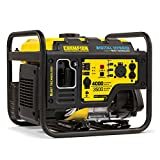 Portable generators, on the other hand, require that you move them from your storage location, connect the power cords carefully and ensure that you have sufficient gas to keep your emergency power up to speed. Residential standby generators are not created equal. If you are planning to power your whole house you need to be aware of how power constantly fluctuates. Wattage varies from day to night and sometimes the surge from starting a refrigerator or central air conditioner can play havoc with the performance of your backup generator. Having said this, it is not too difficult to determine the size your standby generator system. First, of course, is to buy a generator what you can afford. After all, even though it would be nice to power 100% of your appliances (like the central air, sump pump and heating pump) it may not be affordable. It might be appropriate to hire a licensed electrician to steer you in the right direction. This is especially true if you are considering something like a 35 to 45 kilowatt model. Keep in mind that it is possible to buy more juice than you actually need during the power outage. Another important consideration is in choosing the metal which encloses the propane generator. 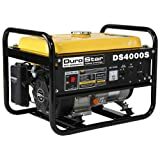 Just like air conditioners, natural gas or propane powered generators are fully enclosed to protect the generator from the weather, rodents and stray baseballs. Until recently you could only buy propane generators with steel enclosures. Today, however, the Generac product selection offers the option to purchase an aluminum enclosure instead. If you live in an environment subject to corrosive rust, the aluminum propane generator is an attractive item. In addition to the convenience of automatic starting and practically an infinite run time, permanently connected standby systems offer power levels higher than portables. And, in all likelihood, a permanently installed home standby generator system will add extra value to your home. The Cummins Onan generators, as well as the full line of Kohler residential standby generators, provide excellent comparative products to the highly rated Generac selection. By the way, we cover Generac more thoroughly on a different page because they provide some unique features. Finally, the Briggs and Stratton website can be helpful by automatically assisting you in determining how elaborate your emergency power requirements might be. 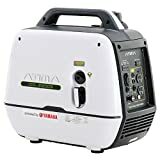 Distributors for most of these home standby generators include such outlets as Amazon, Home Depot, Norwall Power Systems, Sears, Northern Tool and Electric Generators Direct.